If you were to ask me to recommend a retail shop where you would find lots of one-of-a-kind gifts, craftsman jewelry, home accents, and interesting vintage pieces and you told me that it must be a fun shopping experience that is a feast for the eyes then I would tell you to visit Nesting on Main in historic Concord, Massachusetts. 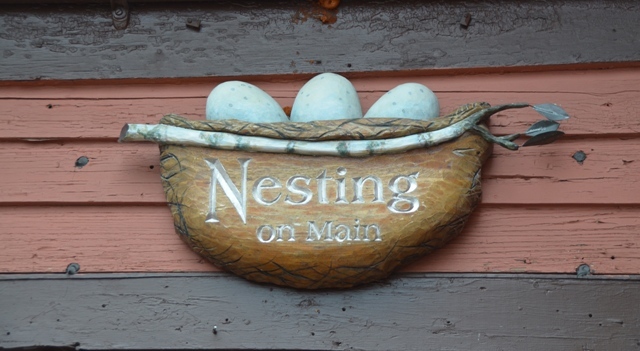 Nesting on Main is even more inviting since they carry lots of USA made products with many of them produced by small businesses all over America. 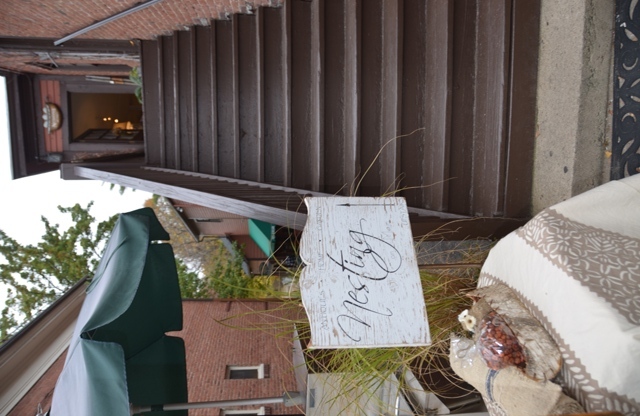 Located at 44 Main Street in Concord you walk up to this inviting shop much like traveling up to a nest. It is here you will begin your happy shopping experience with interesting rooms, nooks and corners filled to the brim with goodies. Three women combined their talents and opened this shop. The trio of Wendi Snider, Melissa Cox, and Beth Hylan have clearly hit the mark with both the mix of products and the way they display and merchandise every area of the store. 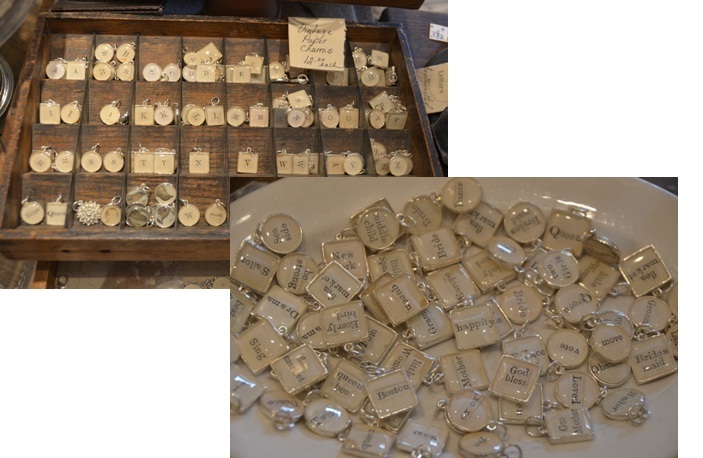 The day I visited Nesting on Main I spoke with Beth Hylan who makes a lovely line of jewelry called Beth Hyland Designs. She uses vintage papers to make charms, necklaces, bracelets, and earrings and all of her findings and components are American sourced. Vintage paper charms by Beth Hylan Designs. I love the crown accent piece and the winged jewelry dishes which are made in Atlanta, Georgia using antique molds. Nothing updates a space quickly like new pillows. These large linen/hemp pillows are made in New Hampshire. Love these antique lampshades which are like a hanging art installation. Even the smallest items are gems to discover. These hand felted acorns are made by women in California and Vermont using real acorn tops! Little cosmetic jars get enhanced with vintage button tops. If you are fascinated with vintage ephemera: cards, papers, little booklets, tickets, small interesting documents, maps, post cards, etc then this is your store. How about some musical paper scrolls from the 1800’s. Lavender Shea soaps made on the west coast. Until next time happy shopping!